Throughout his life Peter Kennedy was deeply involved with collecting, researching and publishing British and Irish folk and traditional music and customs. Working for the English Folk Dance and Song Society (EFDSS), the BBC and independently, he recorded hundreds of musicians around the UK and Ireland between the 1950s and the 2000s – often in collaboration with other prominent collectors of the time, including Alan Lomax, Hamish Henderson, Sean O’Boyle and Seamus Ennis. Peter released a great deal of this material commercially through Topic Records and, later, on his own label, Folktracks. Together with the American collector Alan Lomax, Peter produced a celebrated series of ten compilation LPs in the 1960s titled ‘The Folk Songs of Britain’ (Caedmon, USA: 1961; Topic Records, UK: 1968) which featured scores of traditional musicians and singers who were highly influential at the time as well as to future generations. Peter was also instrumental in developing groundbreaking BBC radio shows such as ‘As I Roved Out’ (1953–1958) and ‘A-Roving’ (1968) which broadcast the singers and musicians he recorded ‘in the field’. In addition to publishing a wealth of sound recordings, he also made a lot of material available in a number of edited books, such as the ‘Fiddlers Tune Book’ series in the 1950s and his monumental ‘Folk Songs of Britain and Ireland’ in 1975. All of this work is documented in Peter Kennedy’s archive held at the British Library, which contains over 1,660 open reel tapes, 1,600 photographs, 500 DAT tapes, 170 boxes of correspondence and paper files, and other miscellaneous items. Although the Library’s catalogue provides a comprehensive index to his collection, it doesn’t tell us Peter’s own narrative – the story of how his collection came to be. Similarly, his own (now archived) website www.folktrax-archive.org contains a wealth of information (including a far more detailed biography of Peter than I have summarised here), but it is a very dense resource which doesn’t provide access to the material itself. www.peterkennedyarchive.org aims to fill this gap by revealing the core of Peter’s collection in a more accessible, interactive way. 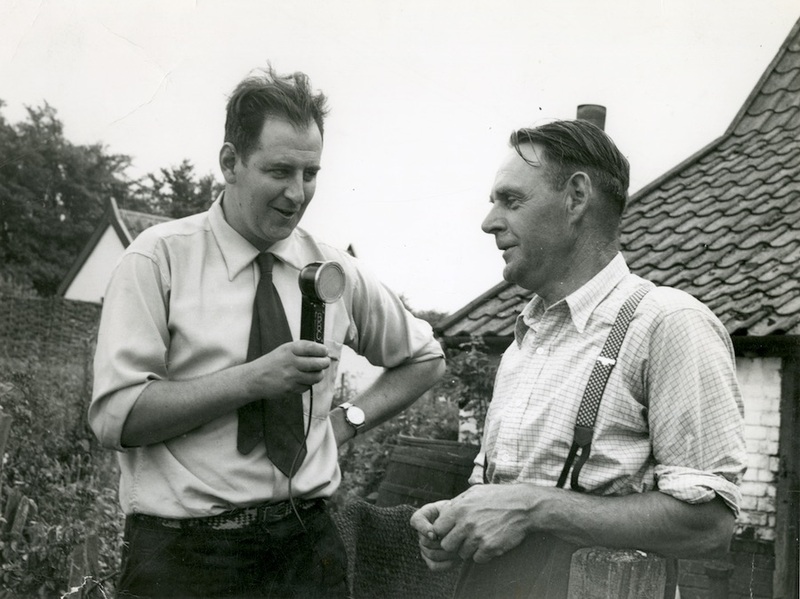 All of Peter’s recordings, photographs and reports featured on this website are provided by the British Library and are governed by their ethical usage policy. Enquiries about the collection should be directed to the World and Traditional Music section. At present (May 2016) around 250 tapes and nearly 600 photographs from Peter’s collection are available to freely access online through British Library Sounds. His full collection of paper files have been catalogued and will be searchable through the British Library’s catalogue over the coming months. As Peter’s archive continues to be digitised more material will be added to Sounds and to this website. 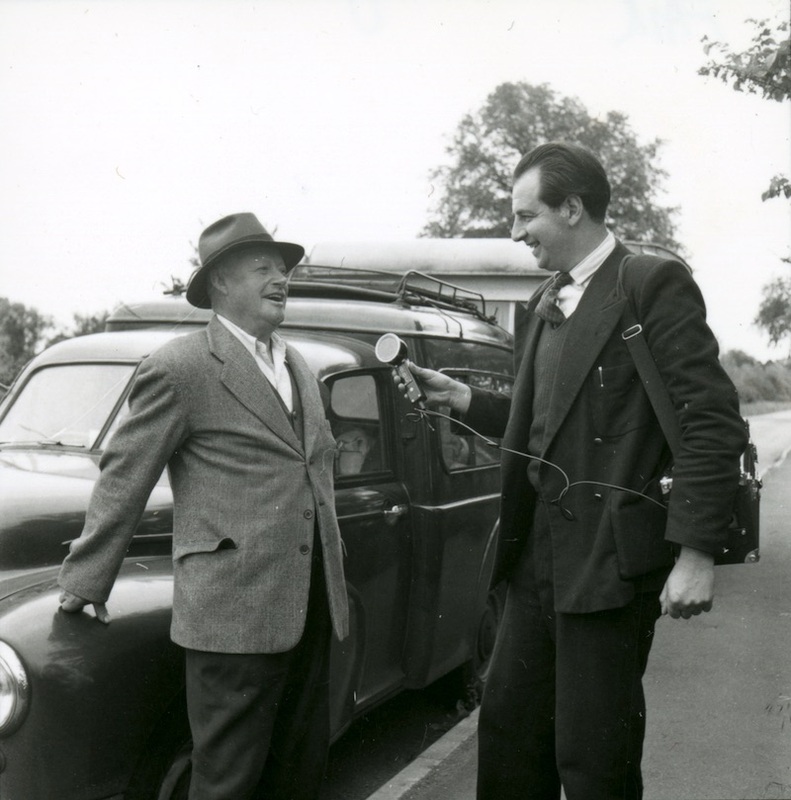 This website focuses on the periods during the 1950s when Peter travelled around the UK and Ireland recording traditional musicians and local customs whilst working on the BBC’s ‘Folk Music and Dialect Recording Scheme’. Peter documented these collecting trips in a number of reports written for the BBC at the time, of which 31 have been found in his archive. These daily summaries of who he recorded, when and where contain a great deal of valuable information that help us to make sense of what’s in his collection. This website turns these pages into interactive images to present the story of Peter’s collecting trips in his own words, ‘attaching’ his sound recordings and photographs to his text. Over 650 performance events by 550 different performers are detailed in this way. This presents us with a unique insight into Peter’s work and provides an interesting way to explore his collection. This site can be browsed in two ways: you may either navigate each of Peter’s collecting trips by reading through his reports chronologically, or you can access the same content through the performer index page, which can be used to search or filter all of the performers and their recordings by name, date or location. Each page of the reports are ‘interactive’. Clicking on a hotspot over a performer’s name – indicated by a red underline – reveals any photographs and sound recordings they made on that day that are freely available to access via the British Library. However, hotspots only exist over the name of performers who were recorded on that day. Not every name in these reports leads to further content; only those names underlined in red do. Some sound recordings are not accessible online, either because these tapes haven’t yet been digitised or the original tapes aren’t in Peter’s collection. In these cases (for those of you who wish to research more deeply) links are provided to entries in the British Library catalogue for undigitised tapes or to the BBC’s ‘Recorded Programmes Library’ 78rpm transcription discs which feature dubs of these recordings. Peter’s collecting trips with Alan Lomax from 1950 onward don’t feature in these reports as they were not affiliated with the BBC. However, handwritten notebooks do exist for all of Peter’s trips – including the trips detailed on this website – and may be consulted at the British Library. Parts of these may be digitised in the future. This website has been created in collaboration with the British Library as part of an AHRC Cultural Engagement Fund grant awarded to City University London in 2016. This website has been developed by Andrew Pace, who has been sorting and cataloguing Peter Kennedy’s collection at the British Library since 2010. Enquiries about the collection and its content should be directed to the British Library, but if you have any questions about this website please email me.